Join Te Marua and you can play week days, evenings and weekends as well as enjoying the benefit of the Golf Bonus scheme. Special Offer – Full playing memberships available for $650. Only $650 for your first 12 months of membership of Te Marua. After the first 12 months the rates current at the time will apply for the balance of that subscription year. Combined that means you can play at 3 courses in the Wellington region for your club fee which is only $1050 per year. 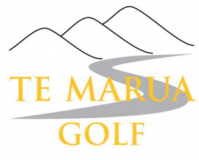 So if your reason for not joining is because you don’t want to be limited to only playing at one club, why not join Te Marua and get the benefit of playing at these course all for one inclusive fee. What are the subs ?